Huge Savings! 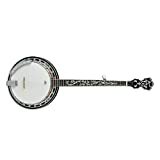 Up to 15% off on Banjos at Way North of Nashville. 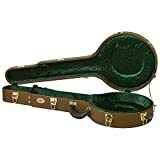 Top brands include Gold Tone, Washburn, Superior, Saga Musical Instruments, Recording King, Deering, Morgan Monroe, Jameson Guitars, Sojing, Ibanez, Guardian Cases, Perris Leathers, Deering Banjo, Oscar Schmidt, & AXL. Hurry! Limited time offers. Offers valid only while supplies last.